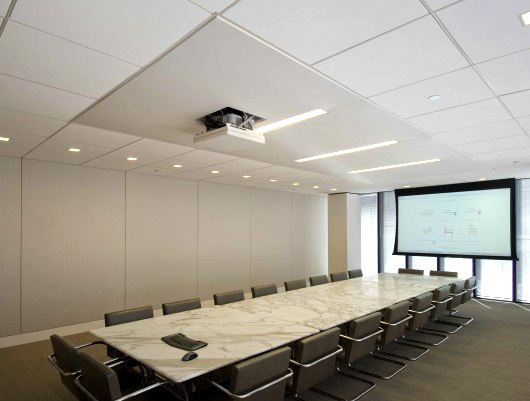 Acoustical Stretched Fabric Systems - A. L. Harding & Co.
Eurospan® Stretch Wall and Ceiling Systems by Conwed Designscape, provide excellent acoustic performance while allowing for the creativity and versatility that can't be accomplished with standard fabric wrapped acoustic panels. 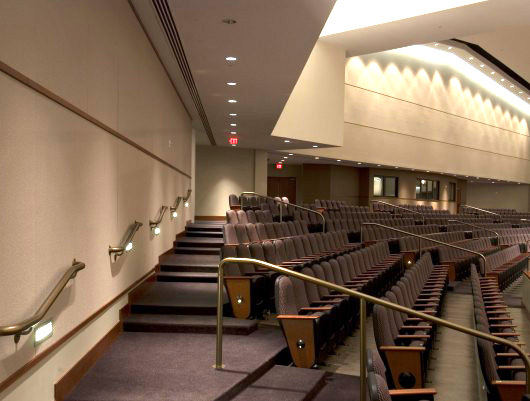 Eurospan® acoustical stretched fabric systems are designed to cover any wall or ceiling surface and can be stretched seamlessly over surfaces 16' x 40' or more. 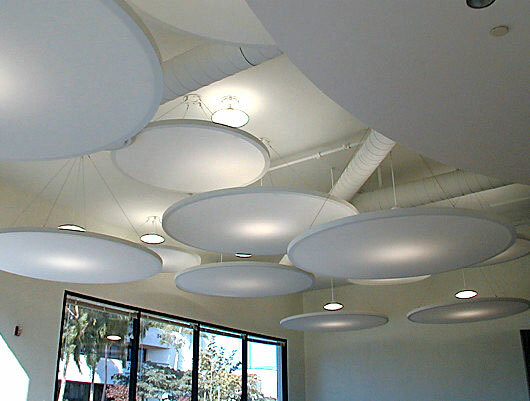 Eurospan® acoustical stretched fabric ceiling systems can be used on flat, domed, and coffered ceilings, or to create custom clouds. Why should I choose Conwed Designscape? With many manufacturer's to choose from, the most important thing to consider is who will you be working with? 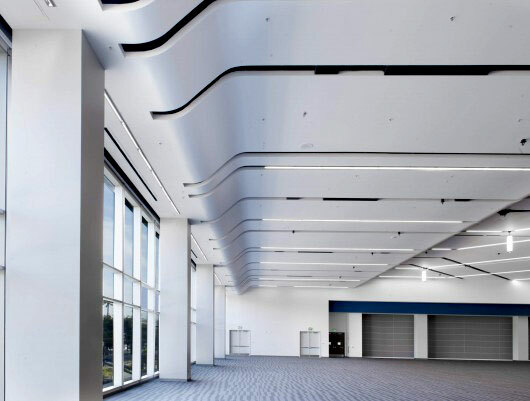 The role of manufacturer's representative is crucial in being the liaison between the customer and the acoustical stretch fabric system manufacturer. Are they knowledgeable, responsive, and dedicated to your project? To get started on a project or learn more about acoustical stretched fabric wall and ceiling systems, give us a call at 724-745-3001, or CLICK HERE to send us a message.